IT professional and veteran of start ups. Life long musician and songwriter. Voracious reader of dead white guys. Lover of food and women. 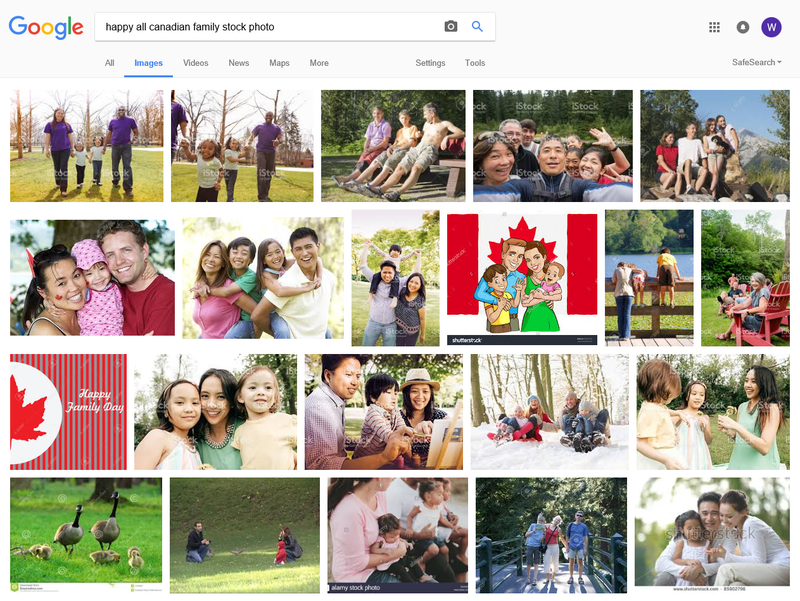 For fun, being Canadian, I decided to try the same thing but replacing ‘American’ with ‘Canadian’; instead of mostly blacks, I got mostly Asians. Tried “Happy Israeli Family” and got two pictures with the Trump family, three with gay couples, one with Israel Kamakaviwo, an arrest at the Wailing Wall. About 80% of the population are garden variety Jews but Google does not see them. May be they are not happy. That is interesting, to sat the least. I also tried “european mother and baby” and got strictly white women and their babies. One could (very) charitably say Google has structured their algorithms to respond to specifically ethnic terms. Although of course, “black mother and baby” returns pics of only black women. So yeah, all very interesting.